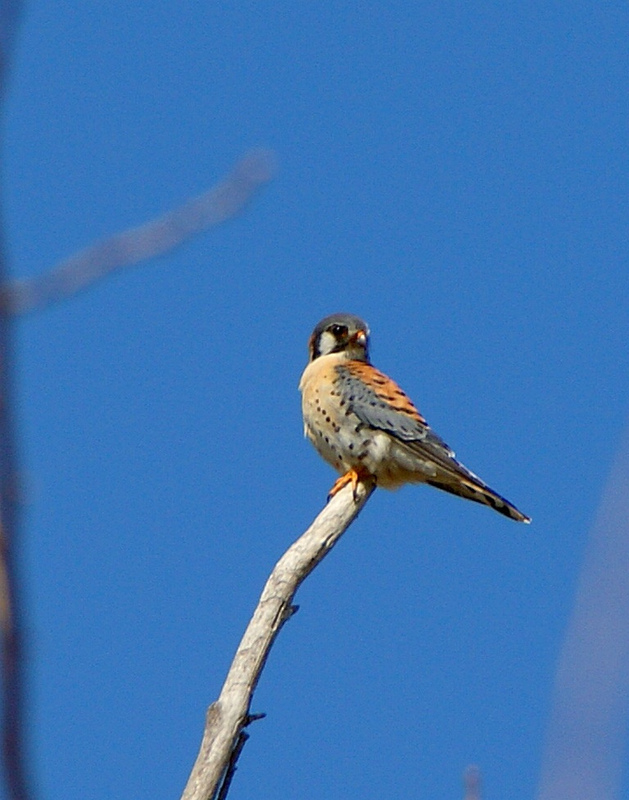 I thought I had seen a Kestrel sitting in the tree outside my bedroom window a couple times. I told my buddy (*waving* Hi Bear) what I thought it was and that I was going to get a photo. It just proves that setting a goal makes things happen, because a few days later, I got this photograph. I know that American Kestrels may be common, but this was the first one I had seen, let alone photographed. So, even if it's not a great photo, it has a lot of meaning for me. I think the photo is fantastic, Misty. I love his subtle coloring against that perfect blue sky! You did well, such a beautiful little bird! I love kestrals and your photo is lovely. Know what you mean about saying your goals out loud. Wonderful shot.. love the title too. I'd be proud of the shot. That blue sky just sets off his lovely coloring! They are gorgeous birds. I love watching them 'kite' in the air while zeroing in on a meal. Lucky you! The only place I've seen one is in my bird book. He is a beauty! I have seen them but just briefly and not in time to shoot one - great capture. Awesome sighting of the Kestrel!